Using one instrument to control another!? IMPOSSIBLE!! What magic is this!? 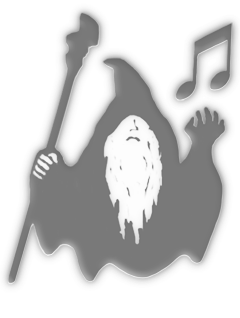 What was once only possible in the realm of wizards and sorcerers is now available to the electronic musician, in real-time with very low latency! 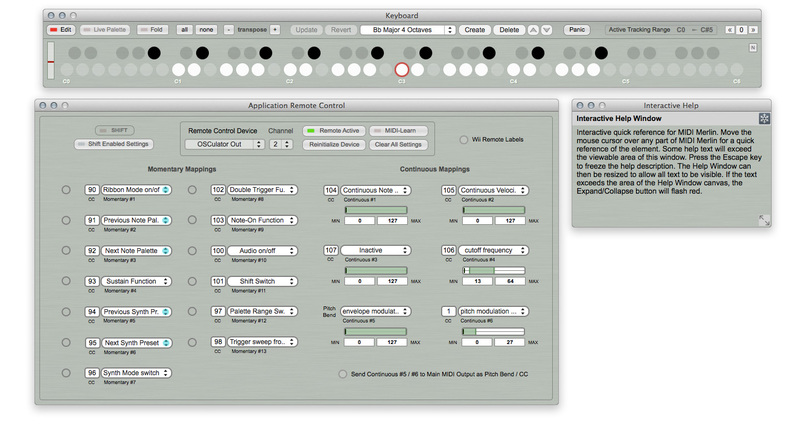 MIDI Merlin is a standalone software product made especially for electronic musicians, educators, and interaction designers who have been dreaming of creating something new with the musical instruments they already know. 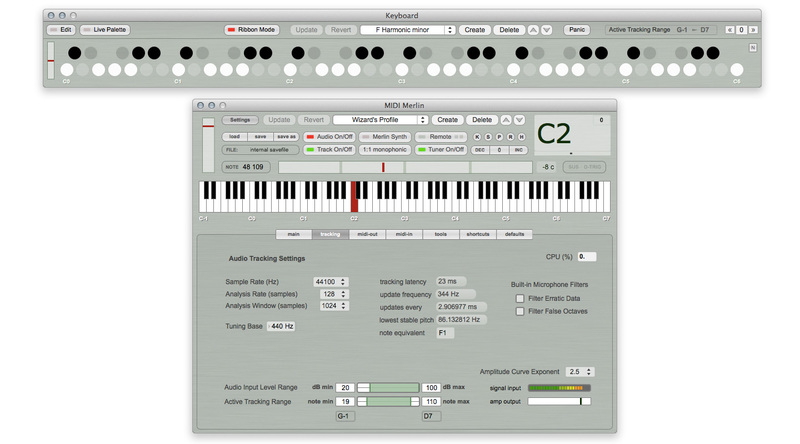 MIDI Merlin is a tool kit built around real-time high-resolution monophonic audio analysis. It is a Standalone Application for 64-bit Mac/Windows that accepts Audio Signal Input from a hardware audio interface and delivers MIDI Data Output over either software or hardware MIDI interfaces. In one configuration, MIDI Merlin can be a used for interacting with MIDI compatible video effects devices, such as DMX controllers and live video mixing software. In another configuration, it can be utilized as an ear-training assistant to develop relative pitch acuity and improve intonation. In yet another configuration, it can be used as a real-time low latency 1:1 audio to MIDI conversion utility for use in live performance applications. Possibilities are only limited by the imagination. MIDI Merlin extends the sonic reach of monophonic musical instruments. MIDI Merlin comes equipped with a flexible data management system, that allows unique configurations to be saved, recalled very easily. User profiles with many custom parameters can be activated locally with a single click or remotely by using MIDI Program messages. 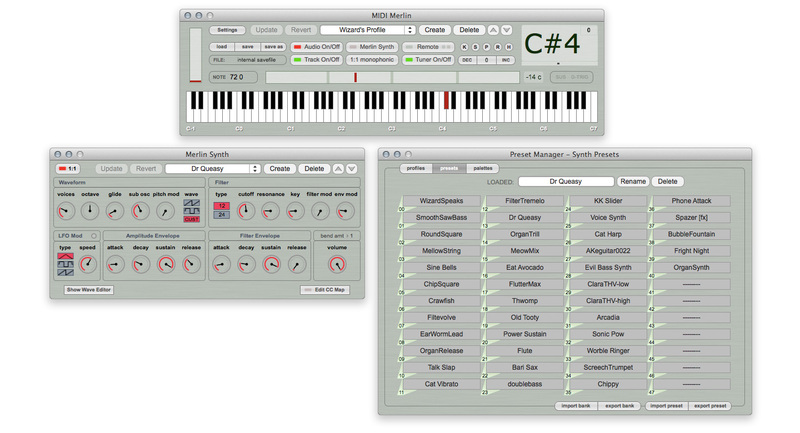 MIDI Merlin also hosts a variety of additional tools that can be used for automation, sound exploration and interactivity. These include a Range Sweeper (automated note palette sweep), Wii Remote mappings (for building custom Wii Remote MIDI Instruments), External MIDI Keyboard Control Input, Live Palette Function (for live keyboard control of the note palette), Scale Pitch Range to Note Palette (Linearized note output! 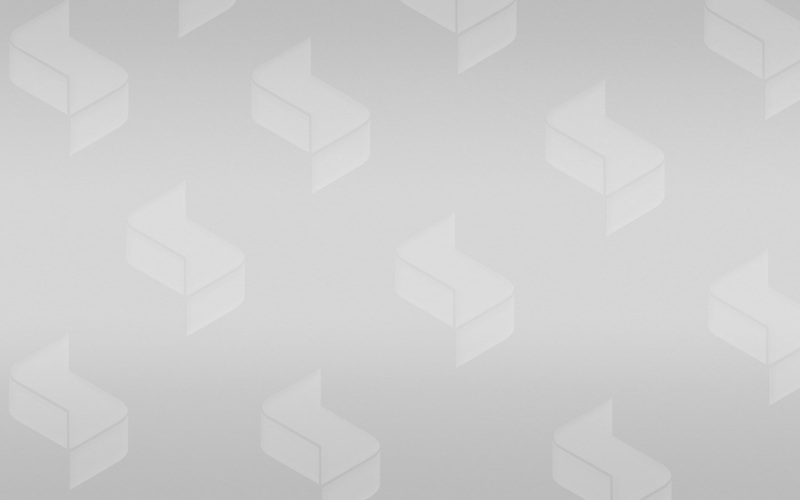 ), External Audio File Tracking, Program Change Message Output Loop, and customizable Keystroke Shortcuts to every function in the application. For Academic licenses or to inquire about volume pricing, please use the contact form HERE or send email inquiries to: midimerlin [at] randygeorgemusic [dot] com. Proof of current enrollment or teaching credentials required to purchase under academic pricing scheme.